The Snow Switch Model SIT–6E Pavement-Mounted Snow and Ice Sensor reliably detects snow and ice conditions on pavement surfaces when used with any Environmental Technology (ETI) APS, Pro Series, or EUR model control panel. The SIT–6E pavement sensor ensures that deicing heaters operate only while needed which minimizes energy costs without sacrificing snow melting effectiveness. As part of a snow melting system, a SIT–6E sensor will signal for snow and ice melting at pavement temperatures below 38°F (3.3°C) while moisture in any form—including water, snow, sleet or ice—is present. It’s important for the sensor to be level with the pavement surrounding it. 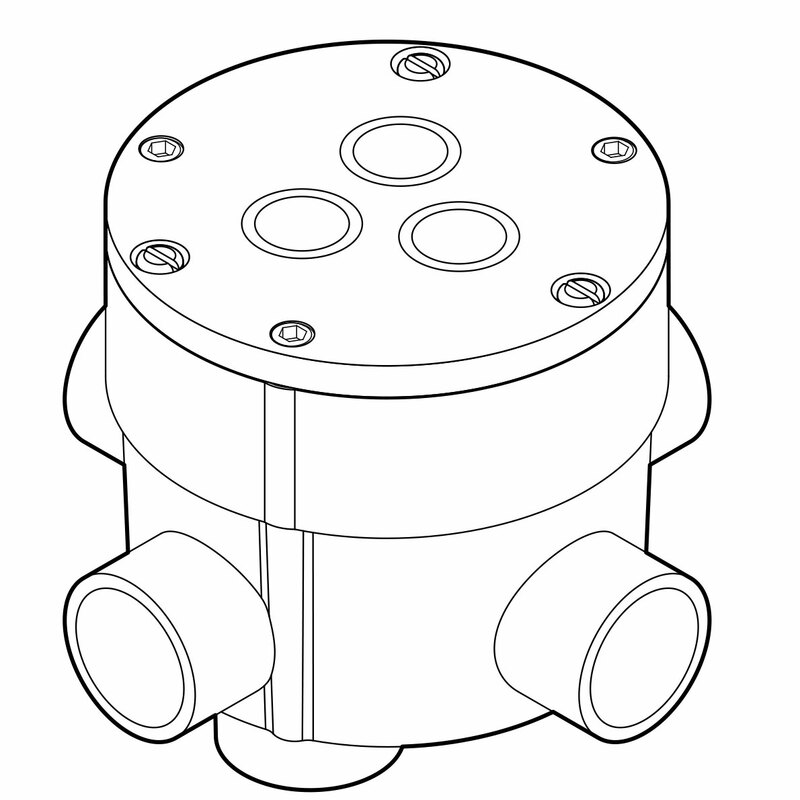 A Pavement Sensor Housing, ETI part number 23832 (sold separately), is needed for each pavement sensor. This housing supports the sensor within the pavement and includes adjustment screws that allow proper leveling with the pavement surface. For best results, consider using the SIT–6E pavement sensor together with a CIT–1 aerial snow sensor. Including a CIT–1 sensor will allow the snow/ice melting system to energize as soon as falling precipitation (e.g., snow or freezing rain) is detectable.